The name of this bundle is absolutely on point! 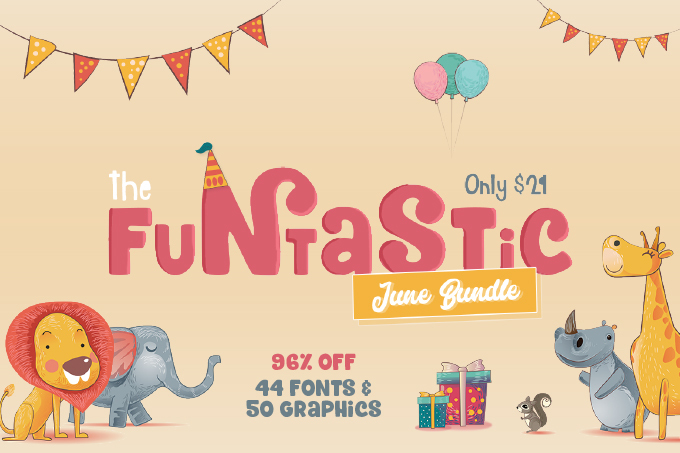 The FUNtastic June Bundle is jammed pack with all things fun & festive to get you ready for summer! Loving all the fun hand drawn birds, summer elements, cupcakes, leaves, sea creatures, banners, unicorns, foxes, arrows, ice cream and wreaths included in this one bundle! the best part of all the Hungry Jpeg Bundles is that they all come with a Complete Commercial license. An how about these gorgeous delightful summer rainbow pineapple clip art collections? « Just the Two of Us Flamingo Free Cut File!